The battle for a new Castle Doctrine in Idaho is underway! We know that many of you are excited for this new battle after last year’s victory with Constitutional Carry, and we are too. It’s going to take all of us, standing together, to make this year’s gun rights battle a victory as well. We all remember what it took to get Constitutional Carry law passed. It was the hard work of so many grassroots activists that called, emailed, and got active on social media, that helped bring it to Governor Otter’s desk, and ultimately into law. It was over 1,000 gun owners marching through the streets of Boise to the Capitol, that let our legislators know that we would not go away until Constitutional Carry was passed. We want to turn that success last year, into more success this year. But, we need your help and we’ll tell you what you can do in just a few minutes. 1. It turns the burden of proof from you, the victim, to the criminal. You are presumed to have acted in self-defense. It would be up to a prosecutor or the intruder’s family to prove otherwise. 2. It also prevents the criminal’s family from suing you when you defend your life. 3. Castle Doctrine would also reimburse you for legal expenses should you be taken to court and found not guilty. 4. A real Castle Doctrine will protect you in your home, vehicle, and place of employment. 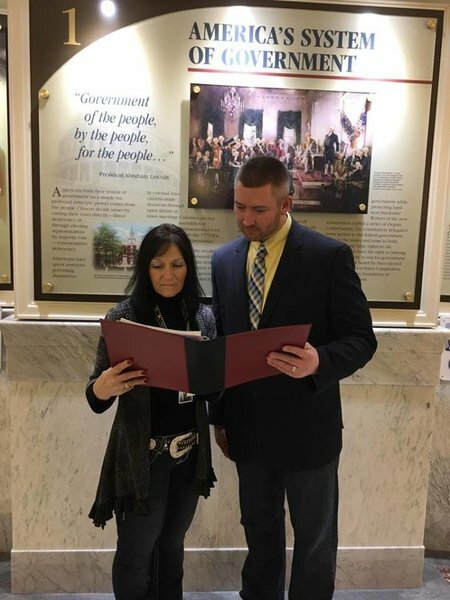 Our bill sponsor, Rep. Christy Zito, has agreed to carry the bill for Idaho’s gun owners, and her personal experience for the need of self-defense make her a great advocate for the cause. I recently met with Rep. Zito, and finalized the version of Castle Doctrine we would like to see passed here in Idaho. >>> First, make sure to sign our petition immediately for Castle Doctrine in Idaho! >>> Then, be sure to “like” our Facebook page (hyperlink). Facebook is often the quickest way to get updates during session. >>> Finally, this battle will only continue if we have the funds to do so. Please consider a generous donation (hyperlink) of $100 or $50 to help us mobilize gun owners in Idaho. Your support for gun rights is extremely appreciated. Your support and action during the 2017 Idaho Legislative Session is going to be crucial to our success. P.S. The 2017 session is underway, and the battle for Castle Doctrine has begun. We are excited to announce that we have finalized a draft of Castle Doctrine, with our co-sponsor, Rep. Christy Zito. To help support her efforts, we need you to sign your petition right away. If you have already done so, then please forward the petition to your family and friends. Then, please consider a generous donation of $100 or even just $50 to help us mobilize gun owners across Idaho to help with this fight. Idaho Second Amendment Alliance is a nonprofit, nonpartisan, single-purpose organization dedicated to reserving and protecting the Constitutionally protected right to keep and bear arms through an aggressive grassroots program designed to mobilize public opposition to anti-gun legislation. 3383 N. 5 Mile Road. Box #329, Boise, ID 83713 You can call us at 208-649-4810. Our website can be located at www.idahosaa.org.